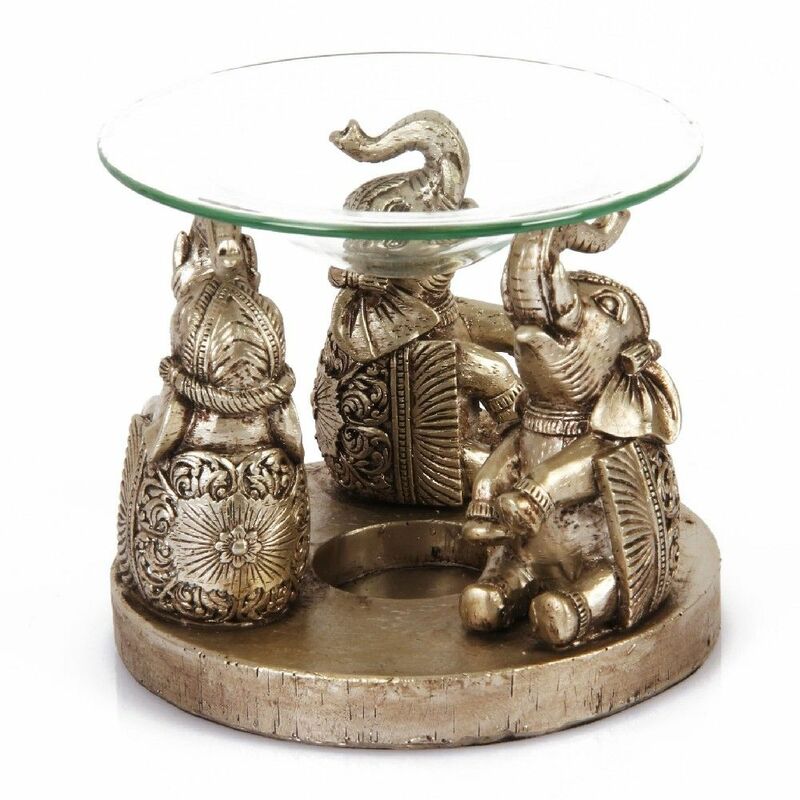 A beautifully crafted, gold finished, resin elephant oil burner with trunk up design from Naturecraft. 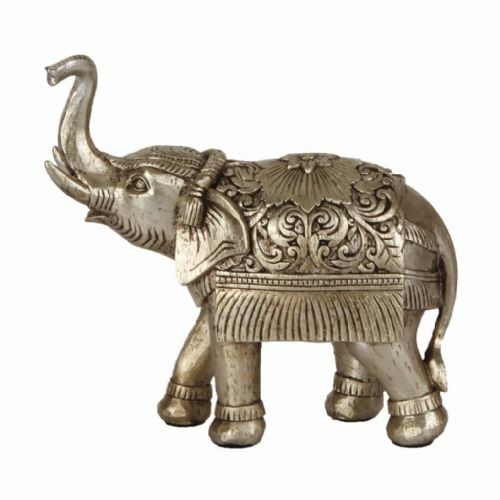 Elephants are said to promote happiness and prosperity when displayed in the home with their trunks up. 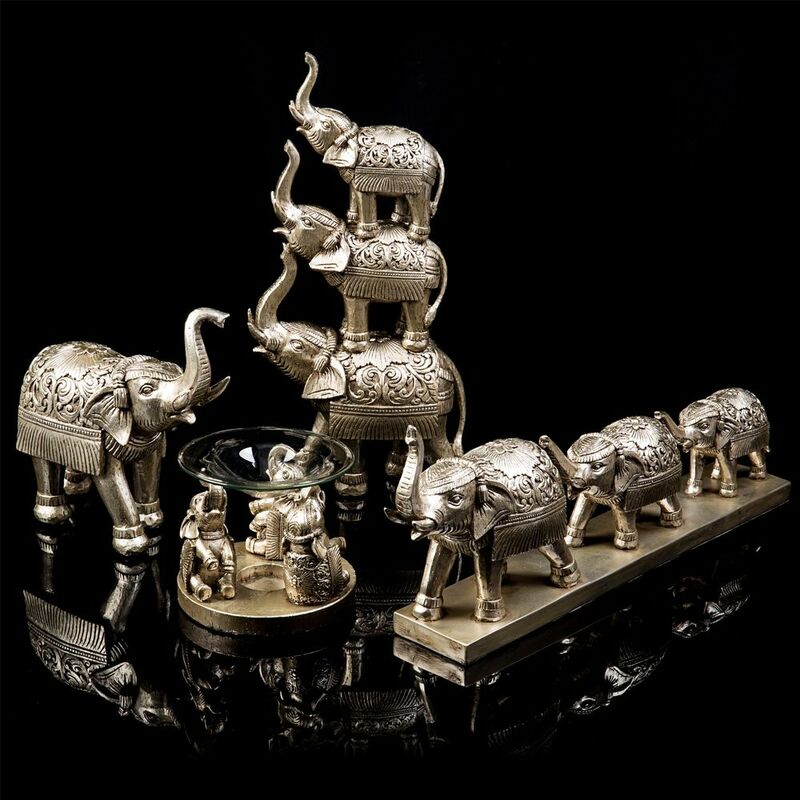 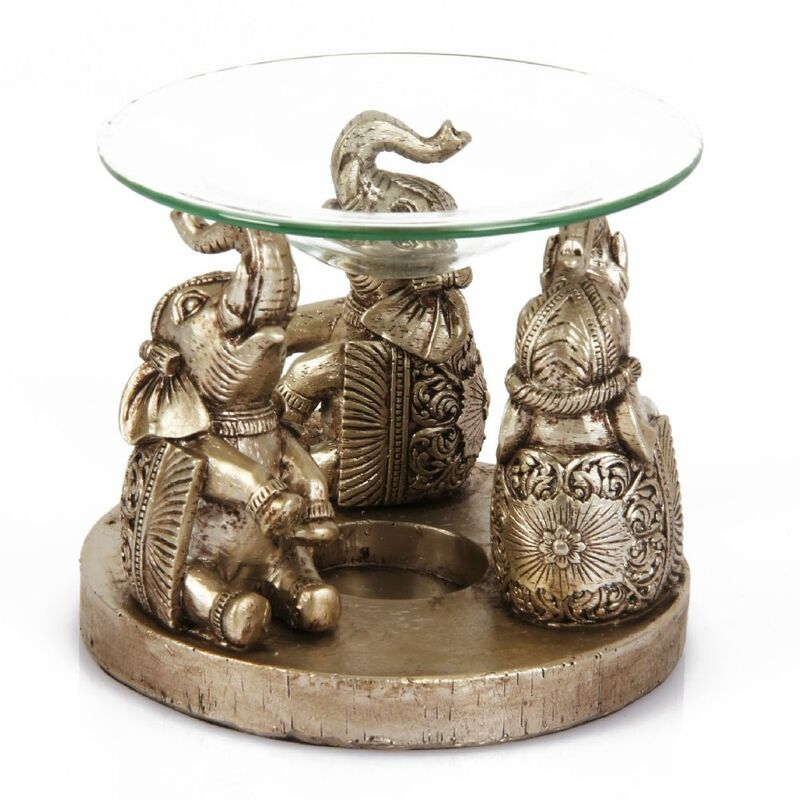 A Trio of happy elephants are holding up a glass oil burner and are decorated with intricate indian inspired detailings to complement it's gold finish. 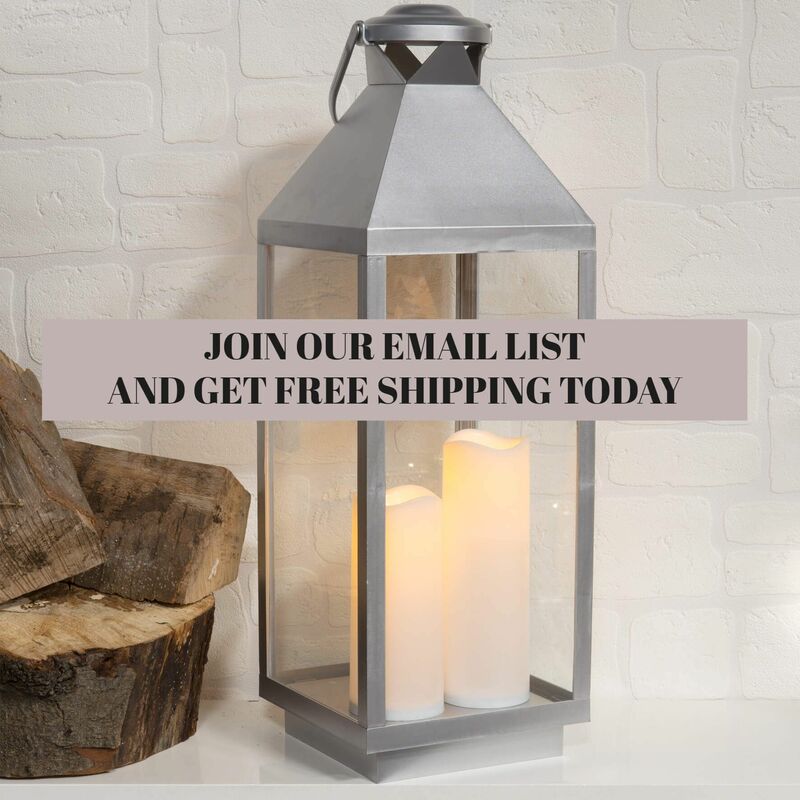 Place a simple tea-light candle in the holder and add scented oils or wax melts to the glass dish.